Jason Momoa is one of Hollywood's hottest action hunks. Standing 6 feet 4 inches and absolutely jacked, to put it mildly, this Hawaiian native has captivated audiences left and right. Beyond the battle scenes in the 2011 Conan the Barbarian reboot and Game of Thrones, there is so much more to learn about the Renaissance man who also paints, plays guitar and drums, and is a devoted dad. For example, did you know that he's married to one of the stars of The Cosby Show? How about the fact that he actually got his start in acting long before Game of Thrones with a starring role in everyone's favorite lifeguard action drama? That's right, from Baywatch to Aquaman, there are a lot of things you probably didn't know about Momoa. Keep reading to learn more interesting and surprising facts about this motorcycle riding, beer guzzling, tomahawk tossing giant. 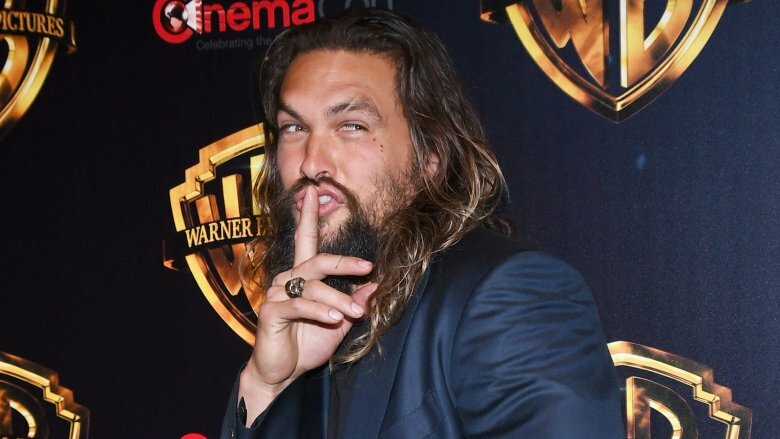 Momoa is not on the market. Sorry, ladies! The actor, perhaps best known as the fierce Dothraki warrior Khal Drogo in Game of Thrones, belongs to actress Lisa Bonet. The pair tied the knot in 2007 and share two kids (Lola Iolani, born in 2007, and Nakoa-Wolf Manakauapo Namakaeha, born in 2008). Momoa's mother shared the meaning behind each piece of her grandson's lengthy name with People: Nakoa means "warrior;" Mana refers to "strength/spirit;" Kaua means "rain" and po means "dark," which is reportedly what the weather was like when the little one was born. Momoa's middle name is also Namakaeha. The way this proud papa gushes about his family, he's clearly smitten with his kids and their mama. Speaking with Katie Couric in 2014 about meeting Bonet, Momoa said, "She didn't know that I was a stalker, but I was." Momoa was referencing how he'd had eyes for Bonet since her days on The Cosby Show in the late '80s. "That was the first time when I was like, 'I want that one, I want her. I'm going to get her," he said. Momoa said he felt "fireworks" the first time he met her. "She was like, 'Hi I'm Lisa'…Inside, I was like a little girl…and I tried to pull it together." Years later, he said she still "definitely makes me shy." Being her husband, he said, has "been an honor." 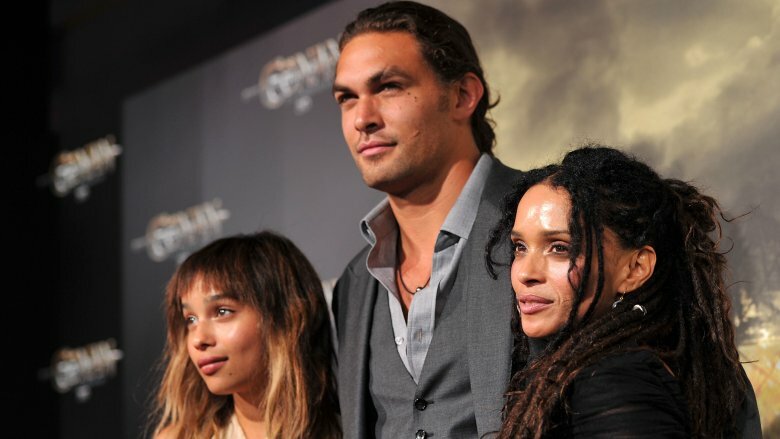 Bonet has an older daughter, Zoë Kravitz (above left), from her previous marriage to rocker Lenny Kravitz, and Momoa seems just as warm with his step-daughter as he is with his biological kids. "My dad and my step-dad get along really well, and my dad loves and is close with my brother and sister," a 26-year-old Zoë told Ocean Drive magazine in 2015. "It's really beautiful. As long as everyone can be in the same room together, and have love for each other, it's totally healthy." 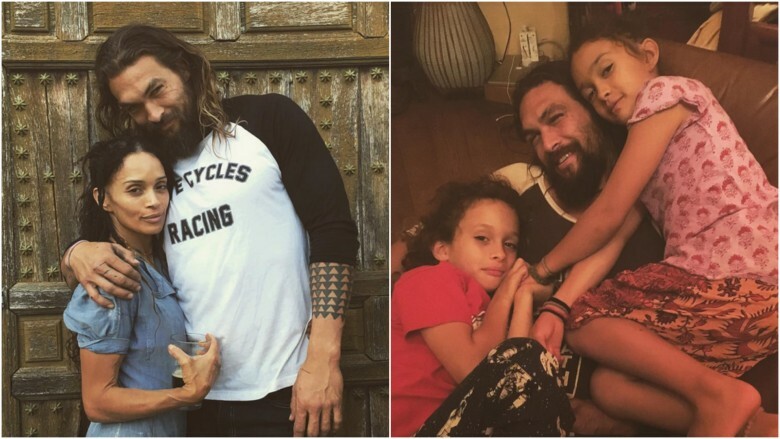 Momoa and Zoë have even flaunted their adoration on Instagram, sending each other cuddly pics that revealed the adorable nicknames they have for each other. She's "Zozo" and he's "Papabear." Still need more reasons to swoon over Zozo and Papabear's apparently amazing relationship? Try this on for size: They even have matching tattoos. Sure the tattoo happens to be the phrase "etre toujours ivre," which according to Popsugar translates to "be always drunk," but it's the idea of the commitment that counts here, right? 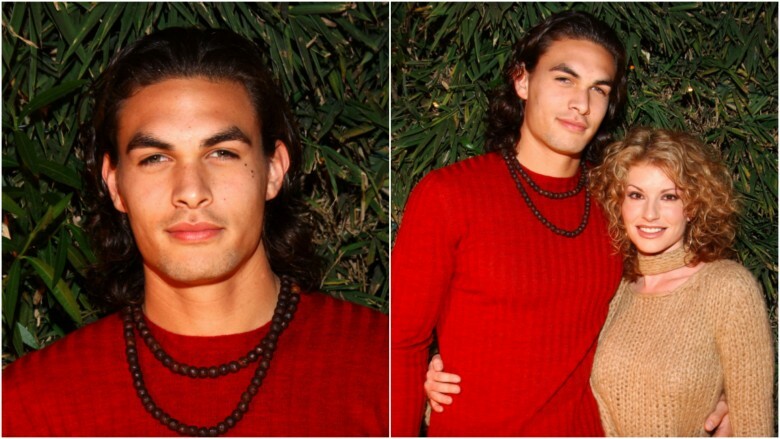 Before Jason Momoa was a weathered warrior on Frontier, he played fresh-faced lifeguard Jason Ioane on Baywatch from 1999 to 2001. The gig caused a 19-year-old Momoa to fall hard for acting. "I love being out here," he told Access Hollywood in 1999. "…Right when I got on the set it was just: this is what my future's going to be. I love it." But it wasn't all fun in the sun. Momoa said the role haunted him for years. "I love that it gave me the opportunity to fall in love with acting, but it also really, really hurt me, being on it," he told Movieline. "Just because it's Baywatch, people don't think you can act. I'm constantly fighting that stigma. When I got cast as Conan, people were like, 'You're hiring the Baywatch dude to play Conan?'" Momoa struggled to find representation after Baywatch, so he had to take matters into his own hands. "No one would take me seriously, so I went, screw them — I went to school, trained, I traveled the world and finally got in there a little bit. Don't judge a book by its muscles and cool scars. Momoa has brains and brawn. According to the University Herald, he studied marine biology and wildlife biology while in college in Iowa and Colorado — sensible majors for a TV lifeguard-turned mythical ruler of the sea. Above all, Momoa wants to be respected for his intelligence. "People are like, 'Momoa's got his shirt off again!' It's not funny," he told the New York Post. "I grew up in the Midwest. I'm raised to actually think, to use my brain." He's quite cultured and well-traveled, too. According to the New York Daily News, Momoa is an avid painter, who has trained in Paris. He's closely studied Buddhism, which he learned on a trip to Tibet, and now music seems to be his focus. "I play the guitar and drums and I'm learning the piano with my daughter," he said. Momoa is built like a linebacker, but according to ESPN, he's drawn more toward extreme sports and his true passion is surfing. As a youth, the actor reportedly had an opportunity to study in Colorado, but he turned down the books because the rugged environment was too alluring. "I knew I was going to climb [mountains] and [expletive] off and snowboard in Colorado," he told ESPN. Instead of focusing on his studies, Momoa began waiting tables at a local restaurant and spent his free time on the slopes. "I was a snowboard bum and a climbing bum," he said. His vision of himself changed after watching the 1998 surfer film In God's Hands, set in Hawaii. "I saw that and I was like, 'I'm outta here,'" he said. From there he looked to his own family's island roots for guidance on surfing 20-foot waves. "Dropping in on that, you have to know what you're doing. I'd never done that. Your legs are just shaking, it's just so much adrenaline." Momoa may be willing to brave oceans and cinematic action sequences, but that doesn't mean he's open to trying any old sport. UFC happens to be something he's not willing to put his body through. "Oh, no. Those guys, they're amazing," he told ESPN. "I act it. I'm not really tough. I'm definitely not to that level at all." Okay, so the guy is clearly big, and that's not just the result of clever camera work. According to a 2016 Men's Health UK profile, Momoa has a 50-inch chest and 19-inch biceps, but Momoa claims he never lifted weights until 2010, when he trained for his role in the 2011 reboot of Conan the Barbarian. "I get up at 5am and I train hard," Momoa said, referencing his preference for running hills and "boxing, surfing, and climbing" as staples of his fitness recipe. "It's very hard sometimes to just work out," he said. "It's monotonous and you can get stuck in a rut. … When I have to change my body type, then we just switch it up. Doing a lot more weights for size; a lot more cardio for definition." His diet is what you'd expect from a shredded action star. "I prefer to eat as much lean meat and green veg as possible and save the calories for Guinness," he told Men's Health UK in 2014, though he admits to the occasional cheat meal. "After finishing a one-month cleanse, I had a giant bowl of pasta and I swear to Christ it was like I was on heroin," he joked. 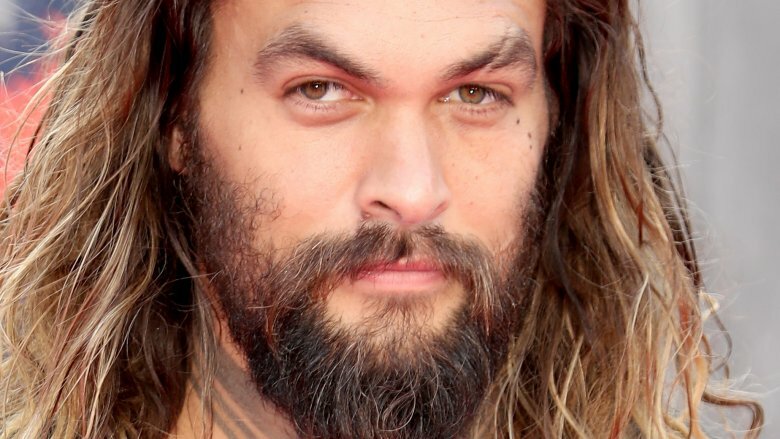 Although plenty of fans are infatuated with the scar above Momoa's left eye, there's a dark story behind how it got there. No, it doesn't involve a childhood incident or an injury while rock climbing in Colorado. As Momoa told Access Hollywood in 2011, a guy in a Los Angeles bar maimed him in 2008 during what the actor believes was some sort of "gang initiation." According to NBC Los Angeles, the 21-year-old man who delivered the crushing blow pleaded not guilty to assault with a deadly weapon. He told the show, "A guy smashed a pint glass in my face. I got a little over 140 stitches in my face. It helped get those mean roles." The scar tissue left a white line that cuts directly through his eyebrow. Hair "just doesn't grow there anymore," he said. "I got my wife before hand, so…if she doesn't like it, too bad." 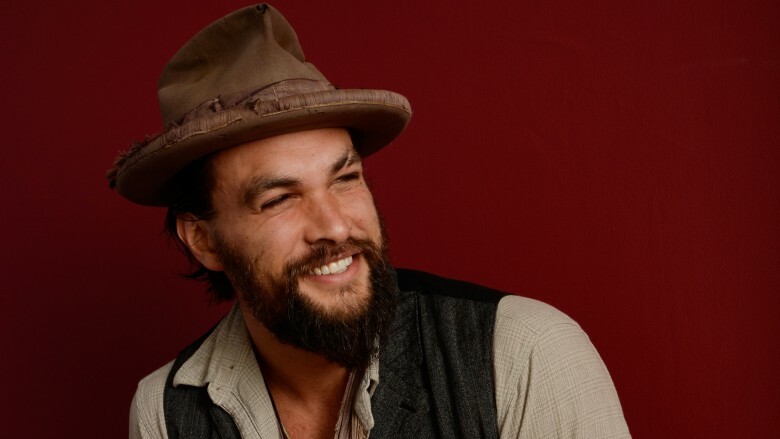 When Momoa isn't busy acting in front of the camera, you'll find him working on his own production company, Pride of Gypsies. According to its website, the business was founded in 2010 and aims to provide support for artists and filmmakers to tell their stories. "I have tons of amazing writers, friends, directors, actors … and we all go out and shoot movies. That's what we want to do. We love to tell stories," he told The Huffington Post. He's got director skills, too, which he tested in 2014 when he helmed, wrote, and starred in the small indie flick, Road to Paloma. Speaking with the Des Moines Register of the "grassroots" production, Momoa said, "We lived in the dirt and edited it in my Airstream. My buddies lived on my property to do it and all the music was done through friends." He even claimed he turned down a role in Guardians of the Galaxy to direct the film, which he sees as a stepping stone to bigger projects. Momoa also directed a piece for the Carhartt clothing line. Aside from looking exactly like the kind of person you'd expect to lead a ruthless mongrel horde of horselords through a mythical fantasy land, Momoa proved himself worthy to play Khal Drogo on Game of Thrones with some real-world warrior mettle. Drawing on his lifelong fascination with the culture of the Maori, an aboriginal Polynesian people, Momoa performed what is called "the haka" in his audition, according to stuff.co.nz. The haka is traditional series of movements and chants performed by Maori warriors in preparation for battle, and although Momoa didn't exactly nail it for authenticity, according to stuff.co.nz, his rendition was so good it got him a callback from casting agents, and eventually the star-making role. The audition tape, which you can see above, was eventually released online. "It's very, very powerful, and I wanted to capture that," Momoa said of his admittedly improvised version of the haka. "I just thought it was apt for the role because it's beautiful and scary." If you thought Momoa's willingness to go full Maori warrior for Game of Thrones was nuts, that's nothing compared to what he did to gear up for Conan the Barbarian. Momoa didn't feel like his mug was rough enough to play the role of a barbarian warrior who slaughters his way through countless men and beasts to save the world from being conquered by a magical mask-wielding warlord. Surely, during all of that, one could expect to break their nose, right? Apparently, Momoa thought so, which is why he had his friend pop him right in the face to achieve just that result. 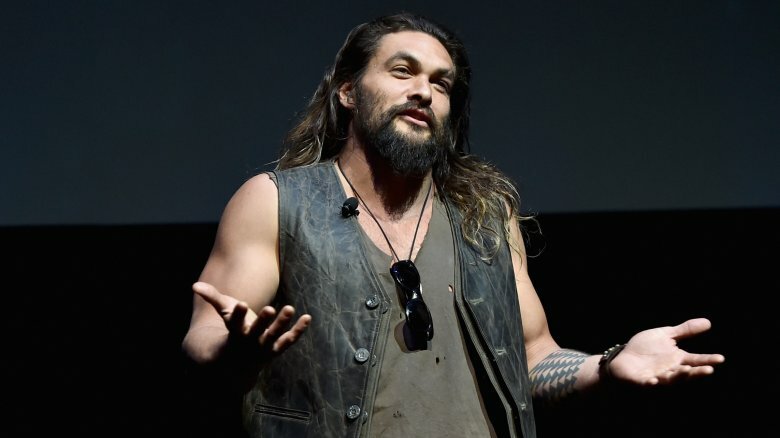 According to the Chicago Sun-Times (via Comic Book Movie), Momoa said his buddy didn't even hesitate to clock him, barely waiting for him to ask before landing the blow. "After it was over, I said, 'Dude, didn't you want to think about it for a minute?'" The physical pain continued on the set. Momoa said he broke a rib and "almost died on the horse a few times." What was all that about acting being a dream gig, again? 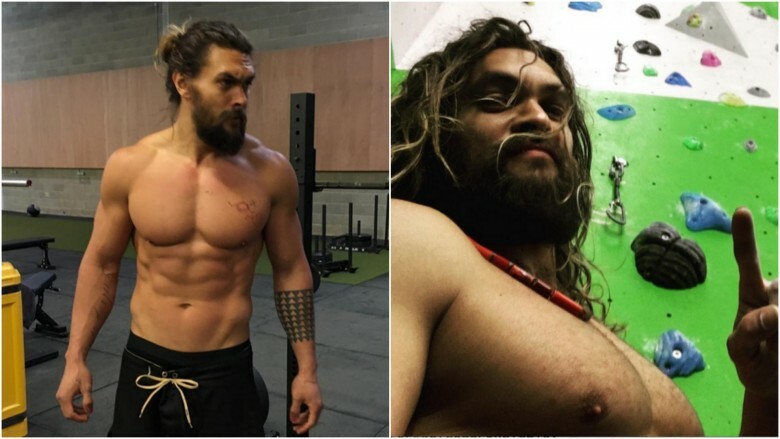 As soon as Momoa managed to overcome the "just a pretty face" stigma of his Baywatch role, he got sidelined again by Khal Drogo. The actor talked about his difficulty landing gigs after Game of Thrones during an interview on The Tonight Show Starring Jimmy Fallon. Problem No. 1: Lots of people thought he couldn't speak English. Momoa said he had no clue why he was having trouble landing follow-up work after his turn on the smash HBO hit, until his stepdaughter's Portlandia co-star, Fred Armisen marveled at Momoa's ability to speak the native tongue of Hollywood. "It was heartbreaking," Momoa joked. "I was like that's why I'm not getting any jobs!" Of course, Momoa is now Aquaman, the superhero who counts among his powers the ability to speak to fish. Who's doubting Momoa's linguistic skills now, Armisen? In a crushing blow to both fans and Momoa alike, his highly-anticipated reboot of the 1994 Brandon Lee film, The Crow, fell apart after eight years of pre-production. Set to begin filming in Hungary in the summer of 2018, both Momoa and director Corin Hardy exited the passion project just weeks ahead of the start of production due to "creative and financial differences with Samuel Hadida," the producer who owns the rights to the film. 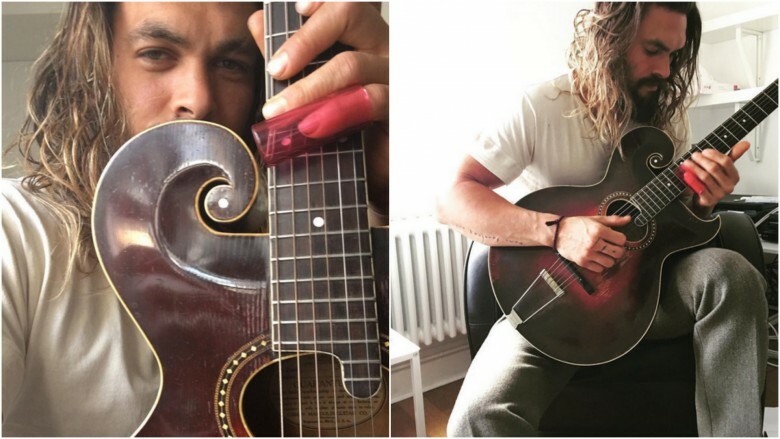 Momoa lamented leaving the project on Instagram: "Sorry. I can't play anything but what this film deserves and it needs love. I'm ready when it's right." At the time of this writing, his IMDb account only shows his solo Aquaman film, which will hit theaters in December 2018, as well as Just Cause, a video game adaptation with scant details yet available, but that doesn't means Momoa's out of the game. 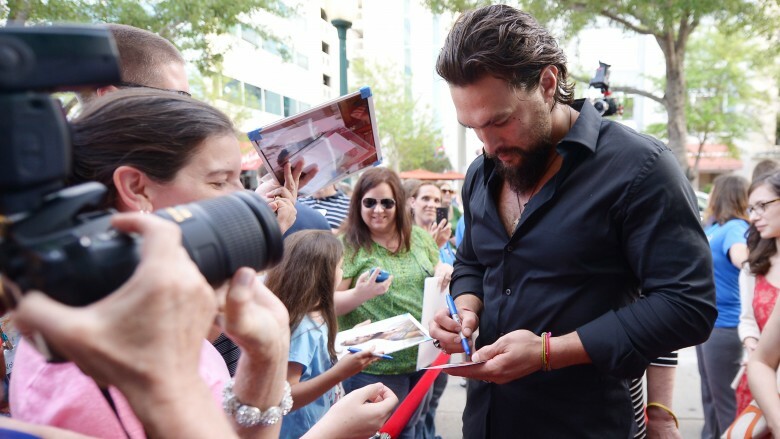 With a lifetime box office gross of $260,002,135 to his relatively small list of screen credits, Momoa is a solidly bankable star, and his obvious work ethic means fans will likely get as much Momoa as they can handle for years to come. 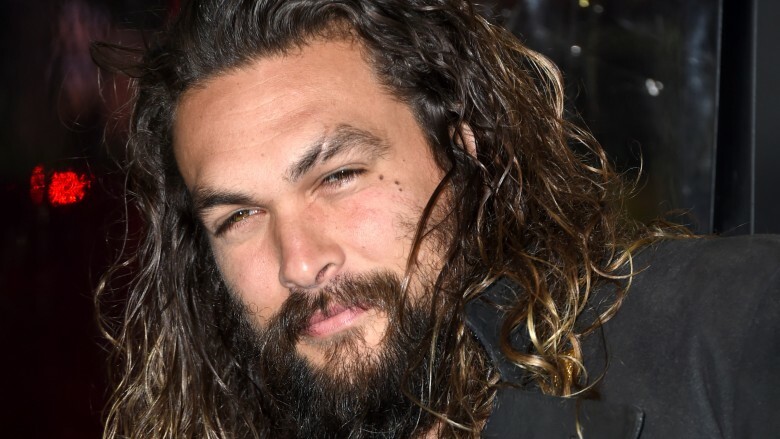 It's hard to imagine Jason Momoa without his signature beard, but the Aquaman actor shaved for the first time in seven years for a good cause — recycling. 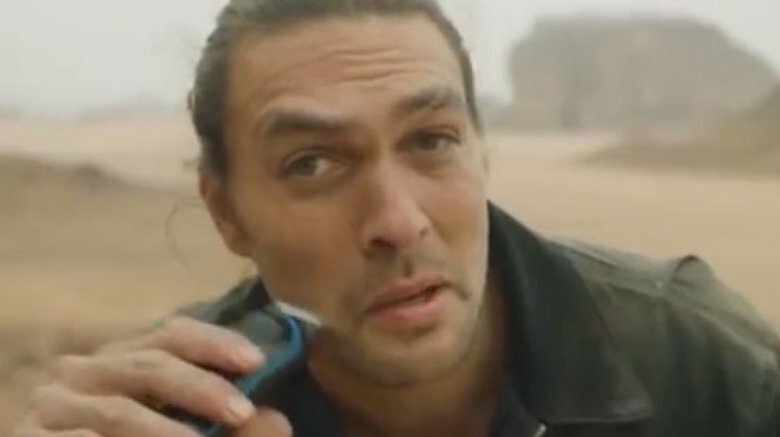 In an April 2019 YouTube video called "Goodbye Drogo… I SHAVED!," Momoa urged people to use aluminum instead of plastic and announced a line of canned water he's launching with the Ball Corporation. "Goodbye DROGO, AQUAMAN, DECLAN, BABA! I'm shaving this beast off, it's time to make a change," he captioned the clip, bidding adieu to several of his most famous characters. "…Let's make a positive change for the health of our planet. Let's clean up our oceans and our land. Join me on this journey. Let's make a switch to INFINITELY RECYCLABLE aluminum. Water in cans, NOT plastic." In the footage, the actor walks through a desert filled with discarded plastic and takes a razor to his face while discussing the ways plastic is destroying the planet. "There's a change coming, and it's aluminum," he says. "You gotta get rid of your plastic water bottles. Aquaman's trying to do the best he can for my kids, for your kids, for the world. Love you, guys."